Additional information, as well as suggestions, designed to help leaders and facilitators lead with confidence. Long an avid bicycle tourist, Stan has ridden several long-distance bike trips, including a cross-nation ride recounted in his book Roll Around Heaven All Day and a trek that covered the entire length of US Route 62 (from Niagara Falls, New York, to El Paso, Texas), the subject of his book Playing in Traffic. Stan is also the author of New Mercies I See, which is a collection of stories about Gods grace, and He Walked in Galilee, a study book on the ministry of Jesus. He writes regularly for Adult Bible Studies and Daily Bible Study. 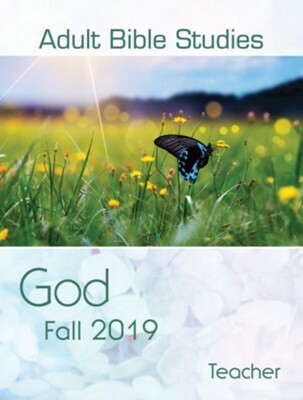 I'm the author/artist and I want to review Adult Bible Studies Teacher Fall 2019 - eBook.